ConceptDraw DIAGRAM is the best program to create flowcharts allows you create professional looking flowcharts. The software delivers built-in object libraries with vector stencils that allows you to use RapidDraw technology. Sample 1. Flowchart: Website launch. 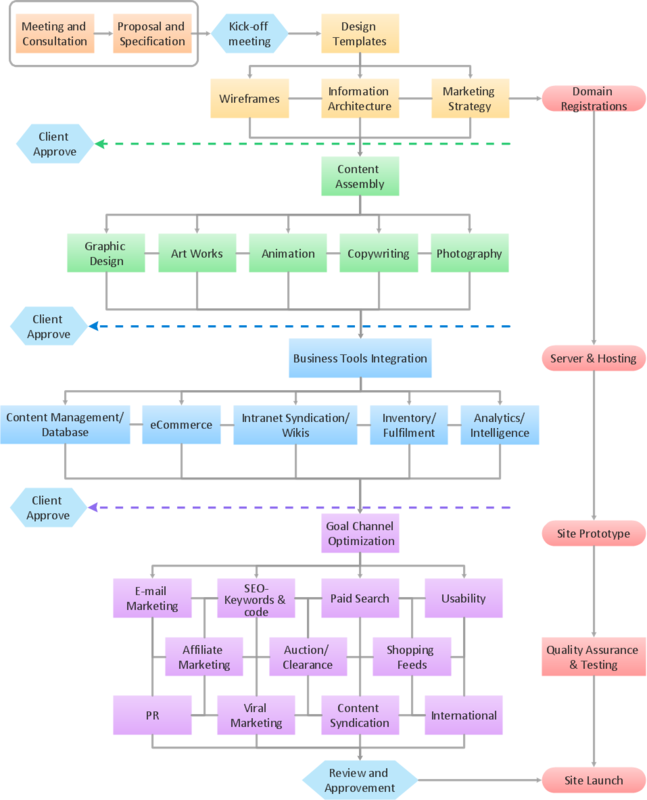 This flow chart example visualizes business process of website launch.